Michael Samson is no stranger to adversity. His life has been marked only by the deaths of those he loved; depression has consumed him and made him a shell of his former self. When he awakes on a sinking ship – with no idea of how he’d gotten there – Michael is forced to face his own mortality. Michael washes up on the shore of an empty, forgotten island, soon realizing he’s alone except for Essa, the strange young woman he finds wandering the fringes of the jungle. Although she appears to mean him no harm, Michael is wary of her presence and her motives. Still, he follows her, knowing if there is any chance of escape, it will be by her side. Michael’s journey begins on the ship, but takes us much deeper into the mind of a man whose past has led him to this moment. Where is Essa taking him, and how have the monsters inside Michael’s head suddenly come alive to chase him through this waking nightmare? 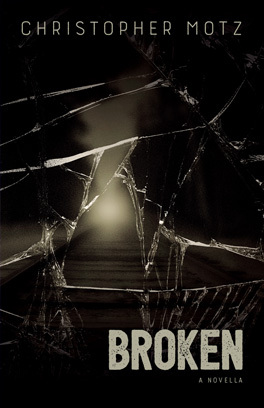 What happens to the broken?